Didn’t get a chance to do a full update this week’s events; hopefully, I’ll get a chance to catch up over the weekend. But in the meantime, here are a few of this weekend’s events until we can get to a full update. 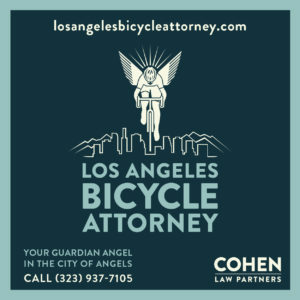 As always, Bike Talk airs every Saturday at 10 am; listen to it live or download the podcast from KPFK. The Eastside Bike Club invites you to join them as they participate in the annual El Sereno 4th of July Parade on Saturday, July 2nd; decorate your bike and yourself in red, white and blue, and stick around for the fireworks at dusk. The ride assembles at 1 pm at the El Sereno Library, 5226 Huntington Drive, with the parade starting at 2 pm. The ESBC will also be riding to view fireworks in Boyle Heights on the 3rd, and Alhambra on the 4th. Flying Pigeon hosts their monthly Brewery Ride on Saturday, July 2nd from 3 to 5:30 pm, meet at Flying Pigeon Bike Shop, 3714 North Figueroa Street in Highland Park. A car wash will be held on Sunday, July 3rd from 9 am to 2 pm on Sunday, July 3rd to raise funds for Ride2Recovery, a nationwide program that helps wounded vets reclaim their lives through cycling. It takes place at 316 W. Florence Ave in Inglewood, with a taco truck onsite for those who want a great lunch or want to contribute without a car. 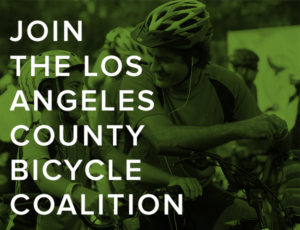 The next edition of the LACBC’s popular Sunday Funday rides rolls on Sunday, July 3rd, with the Salute to Our Founding Fathers Ride hosted by board member Greg Laemmle. The ride will start at the Helms Bakery Building and travel Washington, Adams and Jefferson Blvds and the historic West Adams district, as well as exploring the old tombstones at Angelus Rosedale Cemetery, stopping for a bite at La Taquiza, then returning along the route of the new Expo Line. 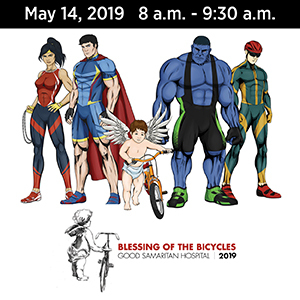 The ride assembles at 9:30 am at the fountain in front of Father’s Office, 3229 Helms Ave, and departs at 10. And what’s 4th of July weekend without a bike sale? Santa Monica’s Cynergy Cycles is hosting a four day tent sale, with promised savings up to 70% and no sales tax. Helen’s is hosting their annual 6-hour 4th of July sale, with discounts up to 75% on clothing and gear, and up to 50% on bikes; the sale takes place at the Santa Monica and Arcadia locations only. Pro tip: Get there early and line up at least half an hour before the 9:30 am opening; some of the best deals are usually gone within minutes of the doors opening. REI is hosting their Summer Clearance through Monday, the 4th with savings up to 30%, in-store and online. 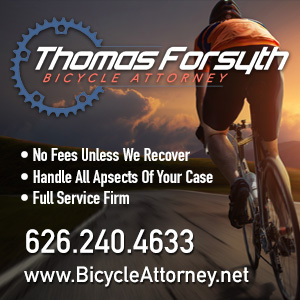 Bicycle Fixation, the bikewear outlet operated by my friend and fellow L.A. cycling advocate Rick Risemberg, is offering free shipping anywhere in the U.S. for purchases over $50. Anyone else having a sale this weekend? Give me a heads-up and I’ll add you to the list. Next weekend looks like a busy one as well, with some things you’ll definitely want to mark your calender for, including a CicLAvia Community Group Ride led by Joe Linton, a memorial ride for Nick Venuto, the cyclist and father killed in North San Diego when a speeding car flipped over onto an off-road bike path, and a car wash to benefit the Culver City 11 run down by an alleged drunk, speeding and distracted driver. Oh, and there’s that little bike ride over in France for the next three weeks.